Why Do You Have a Clogged Kitchen Sink? Any chef will tell you that the kitchen sink is an extremely important fixture. It’s essential for drinking water, washing, and disposing of certain liquids. When the kitchen sink starts draining slowly or stops draining completely, it can be a huge deal. The best thing to do in this situation is to call an experienced Elmhurst plumbing professional and avoid chemical drain cleaners. In an ideal world, of course, you would prevent the clog from happening in the first place. Here are a few of the most common causes of kitchen sink clogs. Life would be so much easier if it were okay to flush cooking grease down the drain. Unfortunately, it simply isn’t. Though grease may be a liquid when it’s hot, it turns solid when it cools. If you send hot grease down the drain, it will be a matter of minutes before it cools and hardens, which could lead to a blockage. The best way to dispose of hot grease is to pour it into a can in your kitchen, then throw that can into the garbage once it’s full. If your kitchen sink has a garbage disposal, you might be more inclined to send more substantial items down it. However, even the most advanced garbage disposals aren’t equipped to handle things like coffee grounds and eggshells. These items can cause a clog in your kitchen drain, or at the very least damage your garbage disposal. 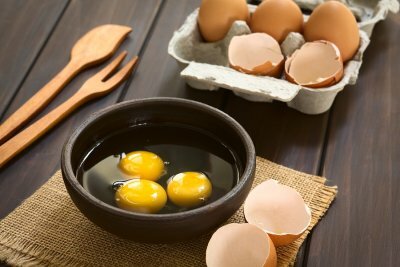 To get rid of eggshells and coffee grains, either put them in the compost or throw them in the garbage. Depending on the complexity of your meals, cooking can be a hectic endeavor. You may find yourself so busy with broiling and sautéing that you don’t pay too much attention to what’s going down your drain. Small food particles are generally fine, but larger pieces of food can cause real problems. The best way to prevent this is to install a drain guard , which should catch larger food pieces.